Little Burgundy is composed of 2780 renter households and 1310 owner households, according to Statistics Canada data from 2009, and 1350 of the renter households are low-rent housing. This means that one-third of all households in the neighbourhood are low-rent housing, and just over 68% are rental households. The largest low-rent housing project in Canada is located in Little Burgundy. Starting in 2015, the rental agreements begin to expire. These agreements guarantee mortgage security and provide subsidies to reduce rents in low-income households; they also provide funding to pay for building maintenance and major repairs. This is why the end of the agreements is bound to result in a rent hike and a diminished quality of life for many residents of Little Burgundy. 28.4% of renters in Little Burgundy spend more than 30% of their income on housing, compared to 40.5% for renters throughout Montreal. This disparity can be explained by the large amount of subsidized housing in the neighbourhood. Housing Cooperative or Non-Profit Organization (NPO)? 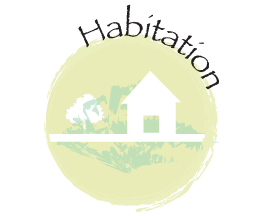 A housing cooperative is an association of people whose mission it is to provide its members with a service: access to suitable housing at an affordable price. In a cooperative, the members (renters) manage their housing according to the principles of democratic organization (one member, one vote). Each year, the resident members elect a management board that is responsible for making sure decisions are carried out and coordinating the work of the various committees that exist to ensure the daily functioning of the organization (finances, maintenance, selection, construction, neighbourly relations, secretarial, etc.). The smooth functioning of a cooperative rests essentially on the member residents’ willingness to participate. The members are collectively responsible for the management of their living environment (community life and financial management). Housing NPOs exist to offer housing solutions adapted to the needs of the households or individuals (exclusively renters) that constitute their clientele. The management board is made up of representatives from organizations that are active in the neighbourhood, as well as representatives of the tenants. Tenant participation in the democratic decision-making process is encouraged. Housing NPOs respond to a variety of needs: they operate for seniors who are losing their autonomy, for at-risk youth, for individuals at risk of becoming homeless or for victims of violence. Many housing NPOs offer community support services depending on the client population. To have access to this kind of housing, you must apply to your neighbourhood’s housing committee, to the Housing Technical Resource Group (Groupe de Ressource Technique, GRT), or directly to the housing cooperative of interest.